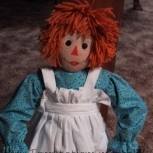 Hand made, one of kind collectible cloth dolls. 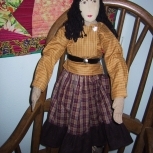 Each doll is 28 to 30 inches tall with jointed arms that move. 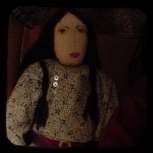 Hand painted faces and unique handmade costumes contribute to my interpretation of the many ethnic backgrounds suggested by my dolls. 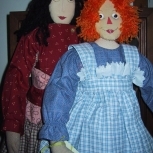 These dolls are of my own pattern and design. 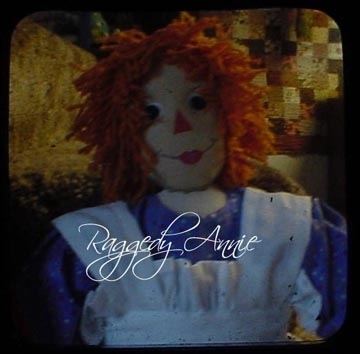 My Raggedy Annie doll is is a more modern version of the traditional doll and would feel at home in your shop or home as a decorating accent. Item ships from: Winchester, ID, US. $30.00 USD ($25.00 USD when combined with another item) by USPS 1st class.